At Wake Aviation we pride ourselves in getting our clients exactly what they want and require out of their new aircraft. Whether that means adding specialty equipment for utility operations like cargo hooks and side-mount gauges or installing a dual set of controls for pilot training, Wake Aviation’s Outfitting team will adequately equip our clients equipment with their individual needs. A stunning interior and exterior paint job with cutting edge communication, navigation and cabin amenities can make all the difference and a project of this magnitude demands professional oversight. The quality of a finished paint job is dependent not only on the skills of the technicians, but also on the care and vigilance of the customer representative. 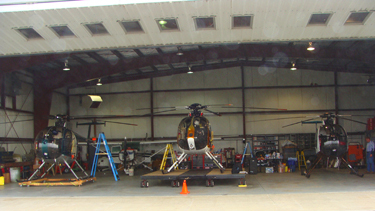 Wake Aviation professionals make sure our clients are getting what they paid for in quality, craftsmanship and finish. With Wake Aviation, outfitting and completions projects are monitored and executed with pride and care to make sure our clients receive the best possible finished product. Please contact Wake Aviation to discuss how we can support your organization and ensure you will be pleased, comfortable and proud of the way your aircraft looks and performs.